When Murphy Elevator Company was founded in 1932, the Great Depression was in full force, unemployment was at the highest rate in U.S. history and a man named Franklin Roosevelt was campaigning under the promise of a New Deal. Despite the hardships faced, the business persevered, thanks to a strong work ethic and passion for what we do. Four generations later, the technology and economic climate have changed, but our dedication has not. We never lost our focus on providing the best in service and equipment, with honesty and integrity in all that we do. The elevator is one of the most important pieces of equipment in your business - and the one most often taken for granted. An "out of order" sign on an elevator door means lost productivity, inconvenience for your customers and clients, and costly downtime. That's why we are available 24 hours a day to keep your elevators - and your business - up and running. We provide service, repairs, modernization and new installation of any elevator brand. Our precision machine shop can extend the life of your legacy equipment. 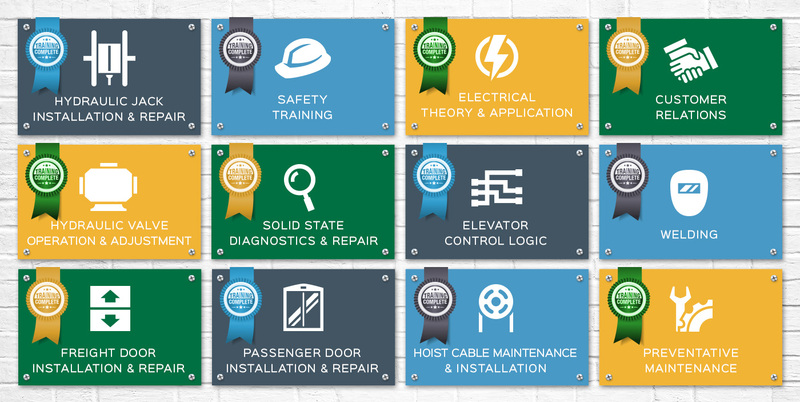 Our licensed technicians graduate from the four-year National Elevator Industry Education Program to ensure that we perform your repairs, inspections and installations correctly and safely. We have the training for all types of high-security, restricted-access and specialized facilities, including MSHA regulated sites. We understand that your business requires top-notch safety and productivity, and you don't have time to spend listening to sales pitches or speaking with people who don't know how to help you. When you call Murphy Elevator Company, you'll speak directly to decision-makers who have the authority and expertise to answer your questions and fulfill your needs with straightforward talk and honesty. We judge our success based on customer satisfaction, not the bottom line. Over the course of four generations, we have built a reputation of integrity, and our longevity speaks for itself.